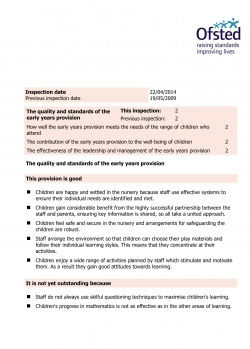 For details of Highfield Nursery School's policies and latest OFSTED report please click on the menu to the left. Highfield Nursery School, 34 Brookvale Road, Southampton SO17 1QR info@witherswood.co.uk ~ 023~80584278 ~ OFSTED No. 370828 ~ Witherswood Ltd.